"THE MANDELA EFFECT, ARE YOU A BELIEVER?" "THE MANDELA EFFECT . . . ARE YOU A BELIEVER?" "What is the "Mandela Effect?" In a nutshell . . . The Mandela Effect is a term for where a group of people all mis-remember the same detail, event or physicality. It is named after the instance in which a large group of people all shared the same memory that Nelson Mandela died prior to his actual 2013 death, usually some time in the 1980's. Am I a believer in the "Mandela Effect?" Honestly . . . I'm not sure just yet. There are definitely instances I have been shown that would clearly make me a believer, but there is also a part of me that says; "You need more information and proof to be converted into a "true believer." "The Mandela Effect," Alternate Memories/Alternate Realities; The “Mandela Effect” is what happens when someone has a clear memory of something that never happened in this reality. This isn’t a conspiracy, and we’re not talking about “false memories.” Many of us speculate that parallel realities exist, and we’ve been “sliding” between them without realizing it. This website is about real, alternate history and possible explanations for this phenomenon. Just a little freaky, huh? So, what do you think? I mean, "Just because a product changes its spelling, doesn't mean it's a different reality. right?" What if I told you that there is a series of visualization videos that will enable you manifest your dream life, through the Law of Attraction? What I'm talking about is not magic or hocus pocus. It's based on proven scientific techniques and real world results. Unlike other visualization tools that you may have seen, these videos combine FOUR essential mind programming techniques embedded within an enjoyable series of high definition videos. These visualization videos will enable you to start using the Law of Attraction to manifest your wants and desires, even if you failed with it before! What makes Tyâs videos different is that unlike boring visualization boards, or many of the so called âvisualization videosâ out there that are nothing more than still photos and music, Tyâs videos combine full motion themed video, a relaxing soundtrack, subliminal commands, and binaural beats. This powerful combination will literally break through your conscious mind and start positively affecting your thoughts, emotions and mindset. "Aura You Kidding Me, Science Says They're Real!" "You And Your Electromagnetic Aura"
So what do you know, science is finally recognizing that the "Human Aura" is real! Each and every one of our bodies emits an "electromagnetic" field and it plays a huge role in our biology. Did you know that the "heart" emits the largest electromagnetic field of all our major organs? "Research findings have shown that as we practice heart coherence and radiate love and compassion, our heart generates a coherent electromagnetic wave into the local field environment that facilitates social coherence, whether in the home, workplace, classroom or sitting around a table. So what does this mean? Well, here's the skinny; In a nutshell, feelings of gratitude, love, appreciation and many other "positive" emotions not only have an effect on our nervous system, but they have an affect on literally everyone around us. This also means that collectively, our group meditations, prayers, etc . . towards a certain, positive, outcome can have measurable effects. Arjun Walia tells us; The GCI in an international cooperative effort to help activate the heart of humanity and facilitate a shift in global consciousness. It’s primary focuses are to invite people to participate by actively adding more heart-coherent love, care, and compassion into the planetary field. The second is scientific research on how we are all energetically connected with each other and the planet, and how we can utilize this interconnectivity, which is very real, to raise our personal vibration to assist in creating a better world. So come on humanity . . . Let's start creating that better world! "THE ADVERSE EFFECTS OF GLYPHOSATE"
The world is changing every second of every day and sometimes it feels like there are evil, sadistic, people, who only care about profit and, well . . . profit. Even if it means causing the deaths of hundreds of thousands of people around the globe. Who am I kidding, it just might be millions and millions of people being systematically murdered! How, you ask? It's one word, remember it, memorize it, and DO SOMETHING ABOUT IT!!!!!!!! It's called . . ."MONSANTO!" Do yourself and your families a huge favor starting today. Don't buy anything but "ORGANIC" bread. It's a start, but everyone has to start somewhere, right? "MONSANTO" is pure, unadulterated EVIL, EVIL, EVIL !!!!!! Understand this and understand this right now . . . they are intentionally killing everyone in the world with not only their GMO foods, but also with the pesticides they are spraying those already deadly plants that are growing. Please read this article from "Natural News" and please, stand up and fight against MONSANTO The lives of our children, grandchildren, and future generations are at stake here! seemed to listen to you before. ideas and to talk very highly about you even when you’re not around. an example of someone they want to be more like. your romantic partner, your family and your friends. enjoy spending time with you. career, your family life, and your overall happiness and self-esteem. get cracking applying this secret. for. Make sure you use this information for good (and not for manipulation). Let's face it, most of us put forth a noble, sincere, effort at "manifesting abundance." We feel it in our hearts, we see it in our minds, and we believe it's already ours. And even though we are taught not to put a time limit on when our desires will manifest, a great many of us still do. That can often times lead to frustration, anxiety and even anger, which de-energizes all the positive energy we've already invested in making our dreams come through to fruition. Each and everyone of us has different needs, wants and desires and our manifesting practices are is individualized as we are. The common factor that unites us is our hope in "manifesting" our desires. There is, however, nothing wrong with asking for and receiving assistance from an outside source. "The Manifesting Miracle" just happens to be one of those outside sources. I highly recommend you look at this as a positive and useful, addition, to the techniques you are presently using to manifest your desires. Take your free, personalized quiz now! Just click the link below! "Fashionable Jewelry With A Beautiful Scent"
What happens when you "fuse" together the elegance of jewelry with the beautiful fragrance of your choice? You get "Happy Jewelry!" 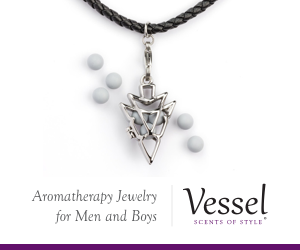 This incredible product was developed by "Vessel Scents Of Style" and is being offered to you today at a great price. For more information. click on one of the banners below. If you love "jewelry" and you love smelling incredible, this is definitely something you have to see to believe. The selections and styles are unique and flirty. There's also products for men too! It's also great for Men, boys and your family pet! C'mon In And Have A Look Around! "THE GALACTIC CODEX-SETTING OUR PLANET FREE"
You may not know this, but a movement to free all humans on Earth has been taking place on our behalf. The time has come for every person on Earth to experience freedom, abundance, healing and love. No longer will we be suppressed and treated as slaves. Ascension, our ascension is being offered as well as many other liberties that have been kept from us for thousands of years. Change is on the way, be part of that change! You can become a part of this change too. We need to bring our "new journey" into the mainstream so every person on Earth may be witness to our "new freedom." Please help all humanity by signing the petitions below. read them first so you will understand what is taking place and why it is so important for you to do so. Together we can accomplish; "Victory Of The Light!" "We, the people of Planet Earth, call upon all Extraterrestrial Civilizations to help us rid Our World of all Weapons of Mass Destruction and put an End to the help us rid Our World of all Weapons of Mass Destruction and put an End to the Madness of War. Madness of War. In return for this service We, the Human Race, offer Our Eternal Friendship and In return for this service We, the Human Race, offer Our Eternal Friendship and Pledge to Maintain Peace – throughout the Cosmos - Forevermore." Pledge to Maintain Peace – throughout the Cosmos - Forevermore." You Must Understand You Must Understand By signing this petition you will also be promoting Mutually Beneficial Contact By signing this petition you will also be promoting Mutually Beneficial Contact between Humanity & Extraterrestrial Civilizations. between Humanity & Extraterrestrial Civilizations. Please use it. Please use it. My Friends, Universal Peace needs to go viral! My Friends, Universal Peace needs to go viral! Please send this pdf to your friends & family.